Stunning! How I wish I had the patience to knit. 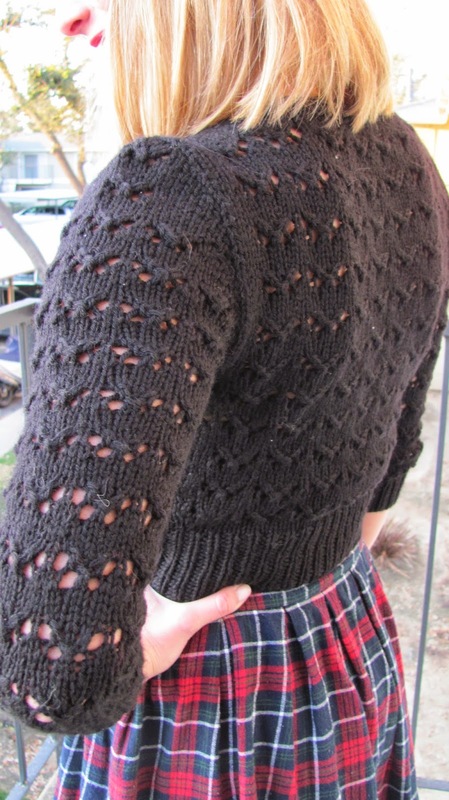 The sweater looks great - you will get lots of use from a black sweater. Thank you! Your Marion is lovely. It looks great in red. 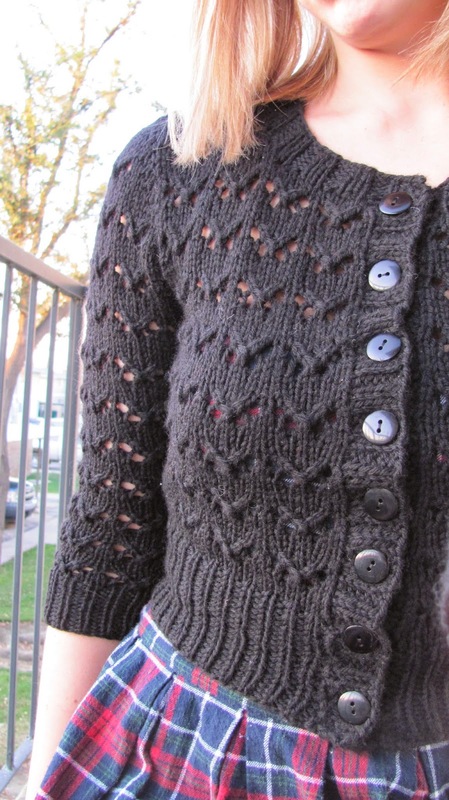 Love the cardigan, the lace-like pattern looks really good on you!